Mara Hoffman is often known for her super colorful, psychedelic pieces like dresses and bags, which is what first caught my eye! However, after doing my research, I discovered this brand has a lot more to respect. Inspired by her world travels and the rich history of countries she’s visited, Mara started in the year 2000 with a collection of colorful hand-dyed batik knits called “Circle.” Eventually, she swapped the name with her own and started her line of women’s ready-to-wear pieces that are known today under the name Mara Hoffman. She is very conscious about her production process, moving into more sustainable practices later on when she realized how important it was to the world around us. She uses recycled materials such as ECONYL® 100% regenerated nylon fibre made from fishnets and other nylon waste, all polyester used is made from post consumer recycled polymers, and all cotton used is certified by the Global Organic Textile Standard (GOTS). 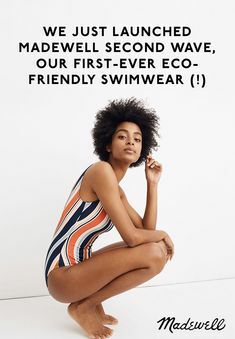 The brand also implements Lenzing Tencel, Modal, Rayon or Burla viscose which is made from the pulp of sustainably harvested trees, as well as fabrics that are Oeko-Tex® 100 Standard ​certified, which means raw materials are tested for harmful chemicals. Digital printing is used to reduce water and waste, partnerships with artisans in India were established through Nest, a non-profit with a mission of to improving transparency, social responsibility, and sustainability within supply chains for women. Starting with the brand’s Fall 2016 line, they began working with Art Atlas, a Peruvian organization that supports developing local communities, artisan independence and childhood education. Mara’s sustainable efforts go right down to the details: even poly bags and stickers are biodegradable. Her brand is also a member of the Sustainable Apparel Coalition, and they joined a movement to create a universal assessment (HIGG) which will be used industry-wide across the world. Mara Hoffman ready-to-wear pieces are made in the USA, in New York City. I don’t believe you can get much better than that! Apart from trippy designs, I also love bold colorblocking, which appears to be the theme of this season’s swimwear collection from Mara Hoffman. Here are some of the most eye catching pieces I could find! Shop many more beautiful pieces from Mara Hoffman at Shopbop here, and REVOLVE here. 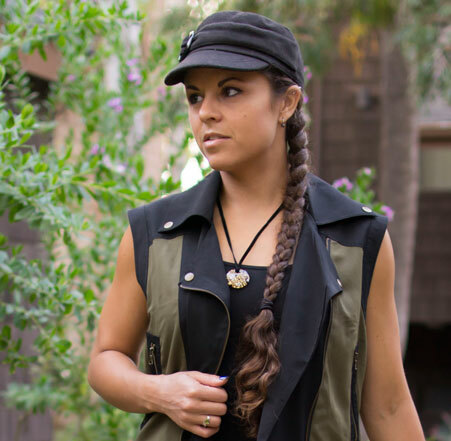 Shop the entire brand and learn more about Mara Hoffman’s sustainable efforts at her official website, here.